Tina Brown's Must-Reads: On Survival In the latest edition of Word of Mouth, NPR's Steve Inskeep gets recommendations from Daily Beast editor Tina Brown on the subject of survival. In Lone Survivor, Mark Wahlberg (left) stars as former Navy SEAL Marcus Luttrell, who was the lone survivor of a mission in Afghanistan in 2005. Daily Beast editor Tina Brown joins NPR's Steve Inskeep from time to time as part of an ongoing conversation Morning Edition calls Word of Mouth. This month she's talking about stories of survival — from a dangerous Navy SEAL mission in Afghanistan to a terrorist attack in Mumbai. And then there's survival of a different sort: sticking out a very long career in Hollywood. Her first pick is Lone Survivor, an upcoming movie from director Peter Berg --"a fantastic new war film," Brown says, "probably the best war film, I think, since Saving Private Ryan." 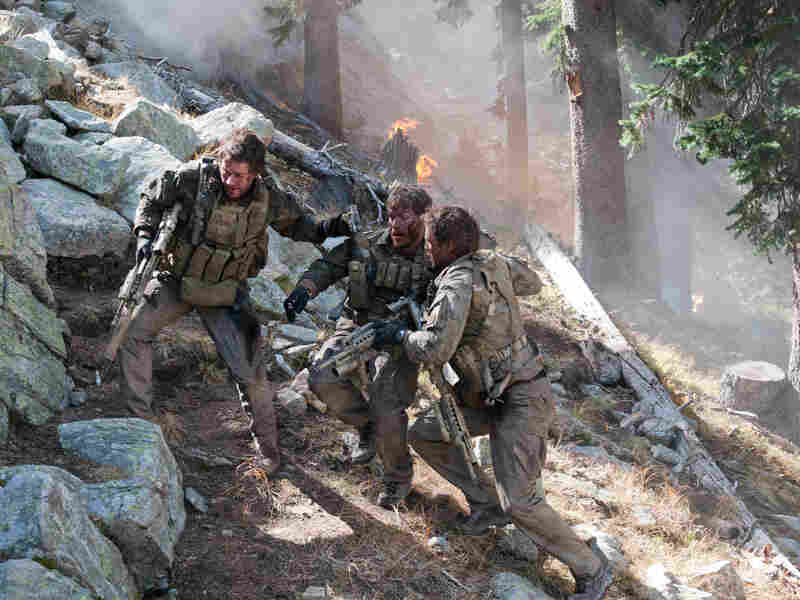 It's based on the memoir by former Navy SEAL Marcus Luttrell, who was the only survivor among a group of four dropped deep into Afghanistan's Hindu Kush region in 2005. They were on a reconnaissance mission, called Operation Red Wing, that went horribly wrong. "The heart of the film is when the SEALs on the mountainside run into a small group of Afghan goatherds," Brown says. "And they realize suddenly that these goatherds are going to go back and alert the Taliban." In the movie, and in Luttrell's memoir, the SEALs argue about whether or not to let the goatherds go. "Because of course killing civilians goes right against every kind of code of the SEALs," Brown says. "I actually talked to [Luttrell] after a screener in an interview, and I asked him, you know, how does he feel today about that decision to let the goat herds go, which I said at the time, was probably the right moral decision to do. And he exploded. He said he really resented that it was 'the right thing to do.' He said, 'How do you know what was the right thing to do? Nobody but us who was on that mountainside, in that conflict, in that war zone, knows what was the right thing to do.' "
"Which I totally understand — because of course, you know, he's haunted by it to this very day. Absolutely haunted. The decision to let the goat herds go, of course, meant that all his beloved buddies, that he was so close to, you know, were murdered." Brown's second pick is a book she calls "an investigative masterpiece." "It's so vivid it ought to be a movie," she says. 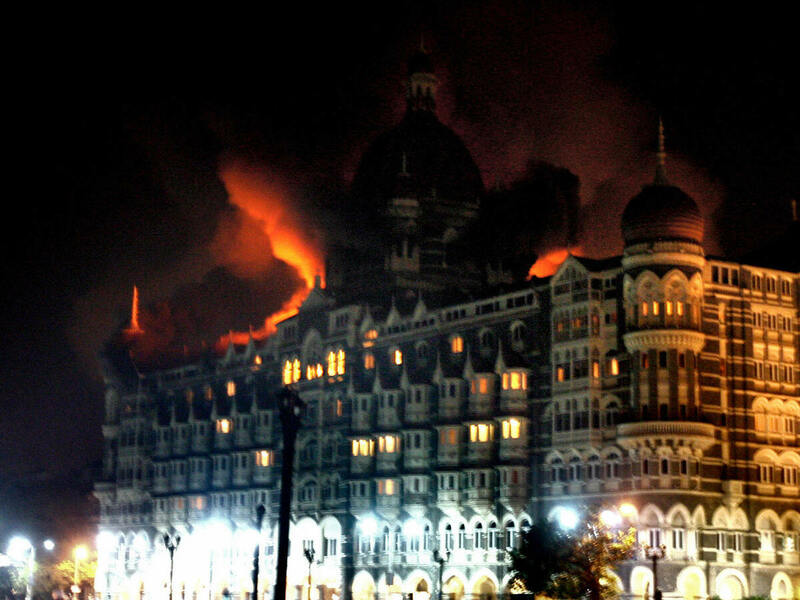 The Siege: 68 Hours Inside the Taj Hotel, is a nonfiction account of the 2008 attacks in Mumbai, India by Pakistani terrorists, from the perspectives of the people inside the hotel that was the focus of the mayhem. It's written by two accomplished British investigative journalists, Cathy Scott-Clark and Adrian Levy. "The Taj Hotel was the centerpiece of it all," Brown says. "And what they do is, they describe every one of the [people] who'd checked into that hotel: tycoons and the Korean trade delegation and a famous food writer, and a young rich couple who'd gone there for their wedding celebration. And at the same time they also cover the wonderful 'downstairs' family life of the staff, if you like, with the chefs and the under-chef, the kitchen brigade as they were called. And they were so incredibly brave." The Taj Mahal Palace hotel on the night of the Mumbai terrorist attacks in 2008. Nearly 80 people were killed and an estimated 200 to 350 injured across the city that night. The Siege chronicles the events in the hotel. One staff member the book focuses on saved many lives that day, despite losing his own family in the attack. "[He] was completely focused on trying to save guests, even as he knew that his wife and two sons were trapped on the sixth floor of the hotel, and he was terrified that they were going to get murdered." The book also digs deep into the lives of the terrorists who carried out the attacks. "The masterminds in Pakistan recruited these really poor, aimless kids in very harsh Pakistan rural areas," Brown says. "They brainwashed them into becoming young killing machines. They were really ... desensitized boys who then wreaked this incredible havoc all over Mumbai that night." Brown's final selection is about a very different kind of survivor, actor Robert Redford. Stephen Rodrick profiled the veteran actor and director in a "wonderful piece" for this month's Men's Journal. "I don't usually read many celebrity profiles anymore because, you know, without the real access you very rarely get anything good," Brown says. "But this piece actually, by Stephen Rodrick, is a very, very evocative piece about Redford, who is himself a survivor." In his latest film, All Is Lost, the actor plays a man trapped for eight days on a damaged yacht in the Indian Ocean, trying to survive entirely on his own. "Redford is the only actor in the movie, and he doesn't actually speak, which is even more of a kind of a acting feat on his part," Brown says. 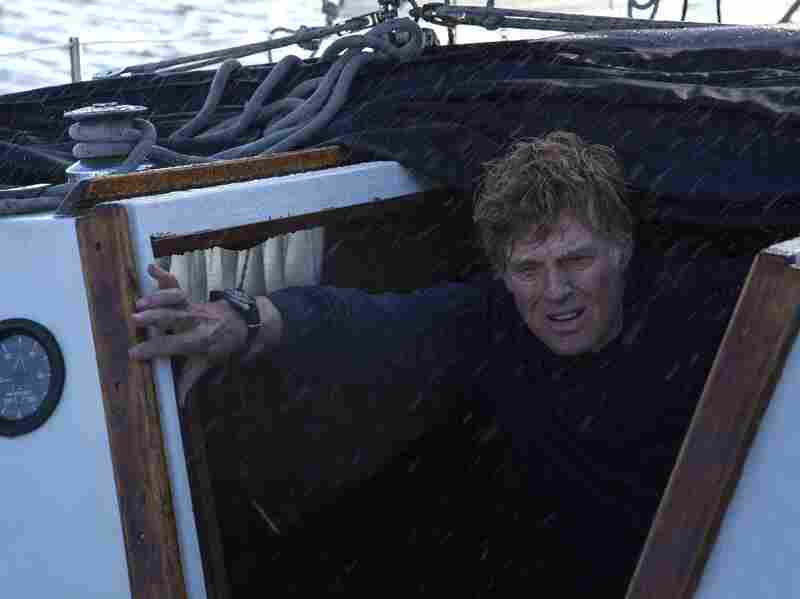 In his latest film, Robert Redford plays a man who is stranded at sea and must survive completely on his own. "And you know Rodrick really describes how we've spent so long seeing Redford as this kind of great, beautiful-looking hunk, that actually his acting skills were kind of forgotten," she says. "But he had a great, sort of ambivalence always towards fame." The article talks about the span of time during which Redford retreated from Hollywood to Utah, where the Sundance Film Festival now takes place. "And also the ironies of that, because of course when he built Sundance it was as a kind of a purist festival that would only focus on the very good movies for art's sake — and of course then Hollywood took over again." "And you know he's 77 now," Brown continues. "And yet he put himself completely in the hands of a 37 year-old director [All Is Lost director J.C. Chandor] and took on this movie which took him right out of his own comfort zone. Because he's always played, you know, heroes in whatever movie he took on, and this time he's just an old man trying to survive in the ocean."